Two creative home decorating ideas for making exciting vintage furniture and lighting are inspiring and interesting. Handmade home decor items blend of traditional crafts and modern art of decor, bringing the softness and coziness into modern interior decorating and saving you money. Two simple home decorating ideas are the inspirations to combine various objects that clutter your home and create stunning, bold and bright vintage furniture and lighting fixtures that can dramatically transform your room decor on a dime. A combination of two different things can produce an amazing result, especially when you reuse and recycle outdated and useless stuff for creative home decorating, making new and unusual vintage furniture and lighting fixtures with your hands. An old knitted sweater and wooden side tables create beautiful vintage furniture pieces that look stylish, unusual and interesting. 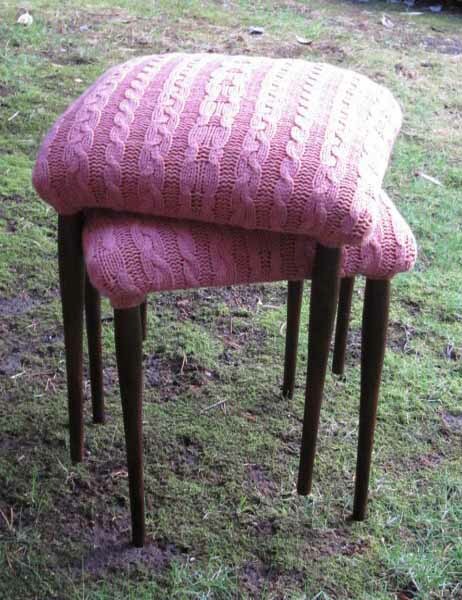 Old pillow or soft filling and knitted fabric are all you need for making unique furniture pieces in retro style. 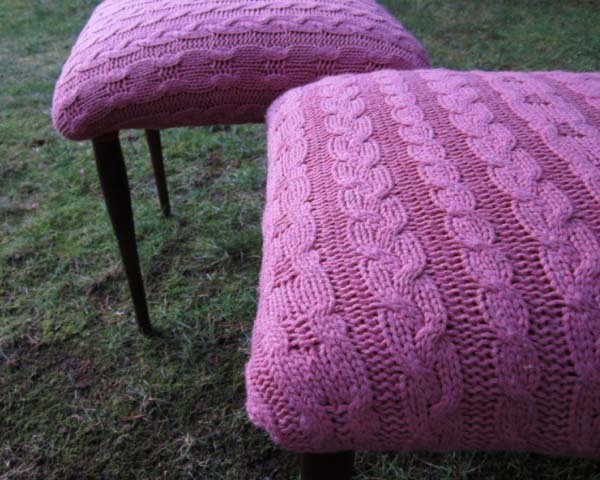 You can knit a top for your handmade stool, pouf or small table, adding the warmth of yarn texture and charm of a traditional craft to vintage furniture for your home decorating. 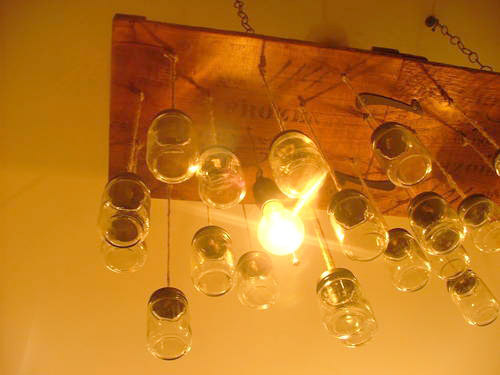 A wooden board, combined with glass jars, create a gorgeous, unusual and modern chandelier that emphasize your retro home decor. A simple and economical idea of ​​designing handmade chandelier of glass jars offers an excellent diy project for cheap home decorating. 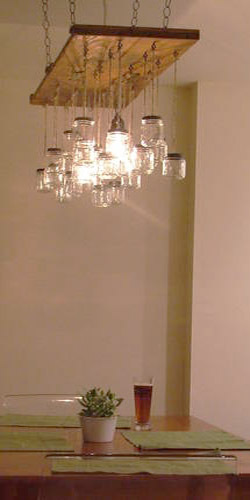 Hanging glass jars in different sizes on jute cords make this lighting fixture look stunning and artistic, adding an amazing decoration to the ceiling design. Filling the jars with beads, sequins, ribbons, colored tissue, painting glass jars various colors create bold and bright chandelier and add charming sparkling to retro decor.